“GAINES” TO RUN FOR ASSEMBLY? They can’t keep it a secret anymore….he’s already been shopping for a campaign manager. So, exactly when is Fred Gaines going to run for State Assembly? The election could be as early as September of this year 2013 – for the Primary – and then the General Election would be held in November. With help from the Valley Industry and Commerce Association (VICA), the city of Calabasas was carved out of its rightful Mountain/Coastal Assembly District and into their San Fernando Valley District. Calabasas residents didn’t know this was going on and no one asked them if they agreed. They’d entrusted their best interests and that of their city to their elected officials. Voters were also kept in the dark about Mr. Gaines’ apparent political ambitions – he was elected to Council less than two years ago. But, who did know? How many of Mr. Gaines’ colleagues and elected friends in Calabasas may have stood idly by or helped? To what degree are Mary Sue Maurer, James Bozajian, David Shapiro, Barry Groveman, Dennis Washburn, Jon Wolfson, et al, all culpable? There’s no denying that the past and present members of Council made an unsurpassed and collective effort to get Fred Gaines elected in 2011, just before new assembly district lines were re-drawn that slice Calabasas out from the Las Virgenes Valley and into the San Fernando Valley. Their efforts to elect Gaines were to such an extent that it calculatedly appeared as if the “city of Calabasas” was actually endorsing Mr. Gaines for Council. For his part, Mr. Gaines has also played an integral role over the years in getting Mary Sue Maurer, James Bozajian and others elected and re-elected to Council…and he is making an intensive effort yet again for the upcoming March 5 election. And that brings up another very important consideration that needs to be illuminated and addressed now. If Mr. Gaines should get elected to the Assembly later on this year, that would mean his Calabasas Council seat will be vacant. Does that mean another appointee for Calabasas City Council? David Shapiro, Mary Sue Maurer, James Bozajian and Fred Gaines have not signed on to support the Citizens Right-to-Vote Initiative. Is there perhaps some back door thought lurking to fill his potential vacant seat …in exchange for…let’s guess…political support? The Citizens Right-to-Vote Initiative was launched by Calabasas resident, Jody Thomas, who is also the only challenger in the upcoming municipal election. She authored the Initiative for the people of Calabasas when Councilmembers Gaines, Maurer and Bozajian appointed David Shapiro (who did not disclose he was Bozajian’s attorney) to the seat left vacant by Jon Wolfson. Ms. Thomas’ Right-to-Vote Initiative seeks to ensure that residents of Calabasas get to choose and elect their own leaders instead of having them appointed by other Councilmembers, thereby putting an end to crony appointments. In 2011, the boundary lines of our State Assembly, State Senate and Congressional Districts were re-drawn by the California Redistricting Commission. Although the intent of this first Citizens Commission was noble, those of us who actively participated in the redistricting process know it was driven by lobbyists and consultants hired to influence and construct voting districts favorable to their clients. So, why did VICA want Calabasas? Was it because Calabasas Councilmember Fred Gaines could not run for the San Fernando Valley Assembly District unless he lived in the District? VICA’s efforts to ensnare the city of Calabasas in its 45th Assembly District were impressive. There was testimony at public hearings in Culver City, Oxnard, San Fernando; and, in Northridge, VICA was allotted over an hour and a half to present VICA’s own maps (along with several other entities), while the public was shut out of that hearing completely. Even in Sacramento, as the Redistricting Commission was finalizing its map work, a VICA consultant representative in Sacramento, reiterated the importance of placing the city of Calabasas in the 45th San Fernando Valley District. To say VICA’s efforts were disconcerting for those of us who attended the public hearings, including the final one in Sacramento, would be an understatement. Stuart Waldman, VICA’s president, also a participant who stood in line to speak at the hearing in Oxnard, for example, argued indignantly that Calabasas was a rightful part of the San Fernando Valley. And where were Calabasas’ elected officials’ in this crucially important time and process? They were virtually invisible with the exception of the first hearing in San Fernando when one of them attended, and in penning a couple of letters to the Commission. Contrast that with the city of Malibu’s efforts. Malibu’s elected Council members and Mayor were present everywhere, testifying at every single hearing and in Sacramento too. When overtures were made to maneuver their city on behalf of special interests, they were right there to speak up for the voting rights of their residents and ensure Malibu was protected and in its rightful place. So, Calabasas was skillfully maneuvered out of the Santa Monica Mountains/Coastal 50th Assembly District and into VICA’s territory. 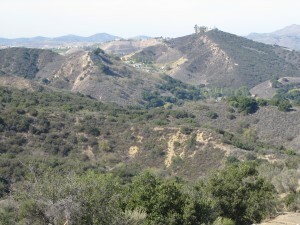 The city went from being part of a mosaic of mountain/coastal communities and cities bound by geography and communities of interest which included Agoura Hills, Malibu, Topanga, Santa Monica, Monte Nido and Cold Creek to the San Fernando Valley, bordered on the north by Devonshire Street and to the east by Hayvenhurst Avenue and the 405 Freeway. To put this in context for example, the interests of a Calabasas community like Saratoga Hills have been extracted from the Santa Monica Mountains and are now meshed with the interests of the City of LA communities – Reseda, Canoga Park – in the San Fernando Valley. Meanwhile, the interests of the mountain communities surrounding Saratoga Hills outside of Calabasas, like Liberty Canyon, Old Agoura, Malibou Lake, and Cold Creek remain tied together as part of the mountains. Calabasas voters will have very little clout in their new District. As a separate city of approximately 25,000 residents, Calabasas voters are barely a drop in the bucket in comparison to the City of LA voters that monopolize their San Fernando Valley Assembly District which encompasses over 425,000 residents in the valley. In theory, the city’s new Assembly District redefines and redirects its “gateway to the Santa Monica Mountains” interests to the “gateway to the San Fernando Valley” because the Assembly District flows eastward now, not westward into the Santa Monica Mountains National Recreation Area. Mr. Gaines and his supporters may have presumed he might have a difficult time getting elected in the 50th Assembly District – that, residents in the rest of the Santa Monica Mountains and coastal areas would not likely vote him into office. He is well known for his representation of developers and his challenges to environmental protections in the Santa Monica Mountains, Malibu, etc. and his legal challenges to the California Coastal Commission. As a matter of fact, another Calabasas politician, Barry Groveman, tried to run for this mountain/coastal assembly seat and he lost too. So, was the solution to this dilemma, to simply have VICA help create an Assembly District where it wielded a great deal of influence (Valley) that included Calabasas? Well, those might be Mr. Gaines’ beliefs, and VICA’s mandate, but did anyone ask the residents of Calabasas if they wanted to tie their quality of life, property values, open space and environmental priorities into VICA’s priorities? No, no one asked…and the city’s best interests are not served by being cut out of the Las Virgenes area for the next 10 years. So, who was watching out for Calabasas and who was watching out for their own political ambitions first, alongside VICA? It shines a light on Councilmembers Mary Sue Maurer, James Bozajian, David Shapiro, Barry Groveman etc. and their relationship with Fred Gaines and his anticipated run for the Assembly in the middle of his first four year term as a Councilmember. Could there also therefore be the potential of yet another Calabasas Council “appointee” for his vacant Council seat should he prevail? If this is symbolic of the culture of cronyism that has taken over Calabasas – then Calabasas residents need to take back the keys to their own city…..yesterday. Current 45th San Fernando Valley Assemblymember Bob Blumenfield was just re-elected this past November 2012, to serve his last four year term in the legislature. However, Mr. Blumenfield has also filed to run for “Los Angeles City Council in the San Fernando Valley” on March 5, to represent the Third District. He is running for Dennis Zine’s seat who has been termed out. LA City’s Third District San Fernando Valley seat covers the same territory that already encompasses Mr. Blumenfield’s 45th Assembly District – so it is anticipated that he will win, resign his Assembly seat and move on to represent the San Fernando Valley on Los Angeles City Council. This will leave the 45th Assembly seat open and there will be an election (not an appointment!) – with the primary in September and the general election in November.